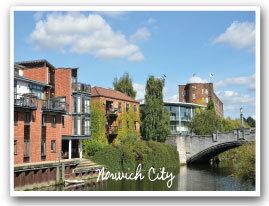 Highgate Farm Caravan Park & Campsites near Norwich Norfolk, Book Today & Visit Norwich City. 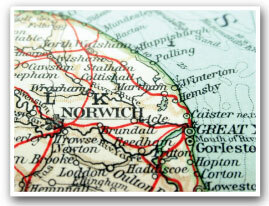 A high quality and private campsite near Norwich, Norfolk. With all the key facilities you would expect and finished to high standards. We would recommend viewing our gallery and also taking the time to read our customer testimonials. Historic castle, traditional markets, museums, theatres, Old city (Elm Hill). The third finest city for shopping, Trowse water park, Food, Pubs and Jamie Oliver’s new restaurant. 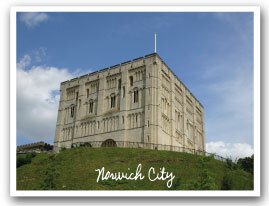 Just 12 miles from Norwich our campsites' a great base to use for all your excursions and day trips. Highgate Farm Caravan Parks Norwich Recommendations; We would certainly recommend the old market, the Mall shopping centre and new Chapelfield shopping complex, which is widely recognised to be on-par with Leeds, London & Manchester.